So where do we stand on wearable technology? It feels like a trend which will inevitably become mainstream and second nature to us, just as our smart mobile devices have done. It isn’t that long ago that mobile devices were pretty rare and the preserve of high-earning high-flyers who wanted to project a certain image – they were hugely expensive, remember – but today they’re ubiquitous. Wearable technology seems to be having a few more teething troubles though. 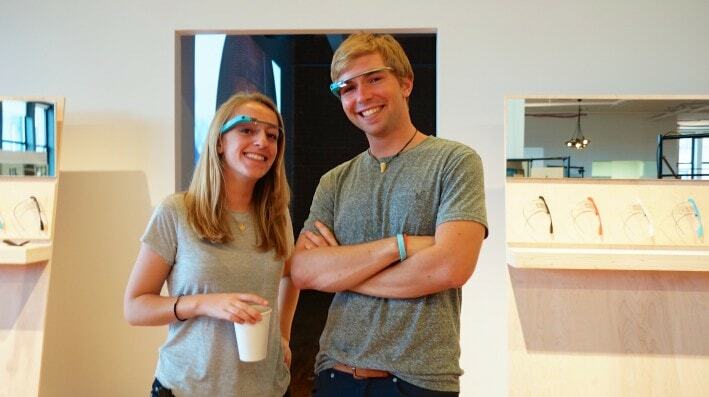 There has been a recent spate of attacks on people who were wearing Google Glass. One theory is that it is based on attacks by California’s anti-technology community, another posits that it is people reacting to the invasion of their personal space and privacy that comes from someone being able to photograph or film them anonymously from a spectacles frame. Either way, it is quite a worrying development. In times gone by, before smartphones became pretty much affordable to all, there used to be the occasional report of smartphone theft – someone walking down the street using their device having it snatched from their hands by a sprinting perpetrator. But these Google Glass attacks seem more violent and more destructive rather than simply robbery motivated. So what can Google do in marketing terms to address this? Obviously it wants and needs Glass to become socially and culturally accepted but it hasn’t been very successful in its efforts so far. Having launched Glass in 2013 Google didn’t seem to put much effort into promoting the device – in fact their silence around the product was pretty deafening. Recent efforts to boost popularity and fend off criticism and general backlash have included the “Anyone can buy Google Glass” initiative, which while opening up availability to more potential customers still required having $1,500 spare to buy Glass – not a particularly inclusive figure when you’re being accused of elitism and providing only for the privileged few. Further barriers that Google needs to get over include the many places in which using Google Glass is already banned. There has already been a case of someone being fined for wearing (though claiming not actually using) Google Glass while driving a car, while banks and ATMs, concert venues, gyms, cinemas, casinos, restaurants and hospitals have all already declared Glass off limits. At the end of the day, Google Glass is basically a next-generation heads-up display – albeit one whose users have to have it on show, immediately differentiating themselves from the smartphone and tablet crowd. Perhaps what Google needs to do to gain Glass mainstream acceptance is to focus on the philosophy behind it rather than the hardware itself. To gain mass market buy-in, Google needs to convince consumers that Glass is, just like smart watches, a benefit to them and not an intrusive, creepy development. That it is a natural progression of smartphones and tablets into a more convenient design. That it is merely an extension of a phone or digital camera that you just happen to wear. That it isn’t scary and wearers are not being turned into cyborgs. But there’s a pretty big gap between its geekiness and opposition to it now and gaining that mass market acceptance. It will be interesting to see which way Google takes this. Marketing automation presents many challenges to be overcome, and if you do not have the infrastructure within your company to address them, you may find your marketing automation investment does not deliver the returns you were expecting. Account-based marketing is growing in popularity in the business-to-business (B2B) tech industry, as vendors and service providers look to target their sales and marketing efforts more accurately. Over the 15 years that we have been helping tech businesses with marketing content, vertical marketing is a theme that comes and goes regularly. However, marketing is only one part of a vertical strategy that needs to involve the entire organisation.